In 2015-16 the College experimented with Hour of Code – where students spent an hour each week learning the foundations of computer coding. 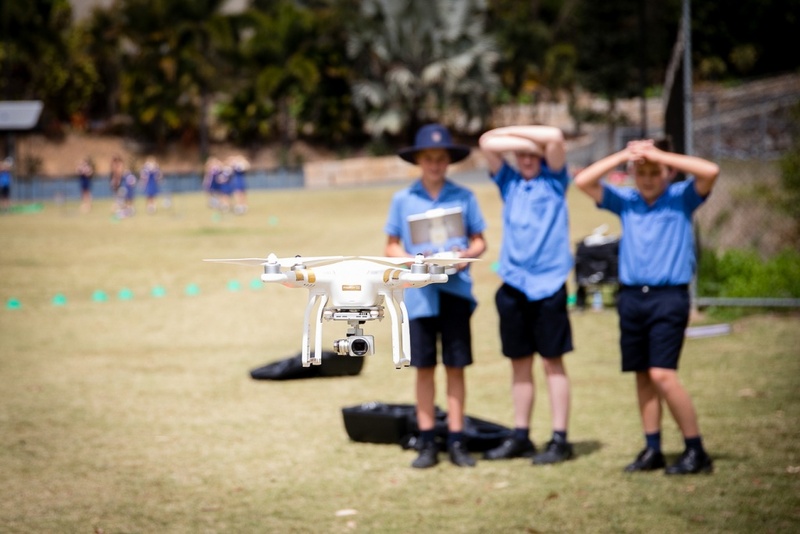 This was so successful that within the context of the new Digital Technologies curriculum, coding then became embedded into classroom routines. 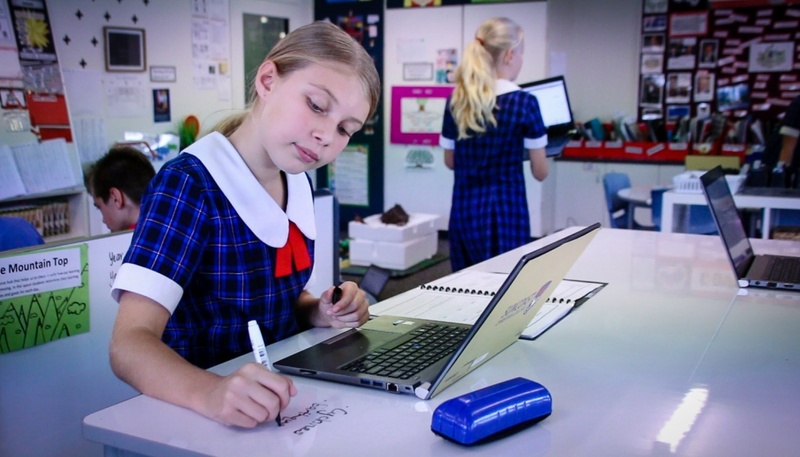 Media, content, and conversations have developed around the concept of computer coding; however, this makes up a small part of the Australian Curriculum. The current generation of students are the C Generation; creative, collaborative, communicative and connected and technology enriches education and empowers this new learning paradigm. In the same way, stationery allows individuals to pen thoughts, create images and craft objects, technology enables people to type, design and share their work to an audience bigger than the classroom. At Suncoast Christian College we believe students thrive when they work at designing solutions to problems and encounter optimum learning – learning which both celebrates success but also embraces the powerful notion of success through failure. STEM learning opportunities such as robotics, allows children to make predictions, test their theories and develop unique ideas. From concept to design, we witness our students in an exhilarating battle where learning is grand as they test their products and improve their creations. Knowledge transfer: STEM integration can improve a student’s ability to transfer knowledge and skills across a variety of learning areas. Teamwork and collaboration: Like the workplace of the future, STEM education is inherently collaborative. Our approach to STEM in the classroom encourages students to improve their capacity to collaborate with each other. New collaborators – new friends: Within an open-ended STEM education, children often work with peers with whom they would not typically interact. Communication: Assists students to become more adept at communicating ideas and information – in particular to a diversity of audiences via group discussions and oral presentations, text, visual/symbolic representations, and physical models. Working to your strengths: Typically, students adopt work roles that appeal to their strengths, increasing their engagement, interest, and excitement for learning. Problem Solving: At Suncoast Christian College we believe students thrive when they work at designing solutions to problems and encounter optimum learning – learning which both celebrates success but also embraces the powerful notion of success through failure. Open-ended Learning: Students enjoy open-ended challenges that encourage creativity. Persistence: Within the STEM context, students are required to solve real-world problems which have the effect of developing within them, persistence, independence and success bred from failures. What activities and experiences are within Digital Technologies at Suncoast? Suncoast Christian College’s digital technologies curriculum creates immersive digital experiences in everyday classroom activities, plus after-school activities and electives to extend the students’ learning. In addition to Digital Technologies lessons, students have the opportunity to be involved in Lego League – a global competition where students are able to design, program and test robot designs to solve problems. 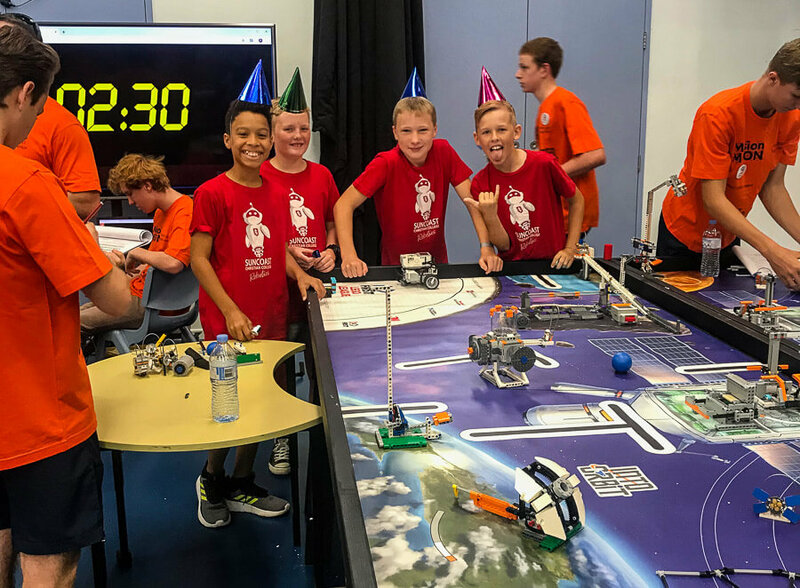 While Suncoast has excelled at previous Lego competitions, they have recently provided even stronger competition at state and national titles, with Year 6 students recently named First Lego League Champions. [ii] U.S. President George Washington, First Annual Message to Congress on the State of the Union, January 8, 1790, The American Presidency Project website.